All 114 Red Pine Camp girls arrived yesterday! In the morning, parents dropped off their daughters, and at 4pm, two busloads of girls arrived from Chicago to cheers and singing from the campers already checked in. Each and every girl had to come to the Health Center and be seen by either me or Nurse Kathi, who was helping Kate and I complete the check-ins. Do I need to tell you that by 10pm last night I was exhausted?? And this morning, we awoke to pouring rain, thunder and lightening. 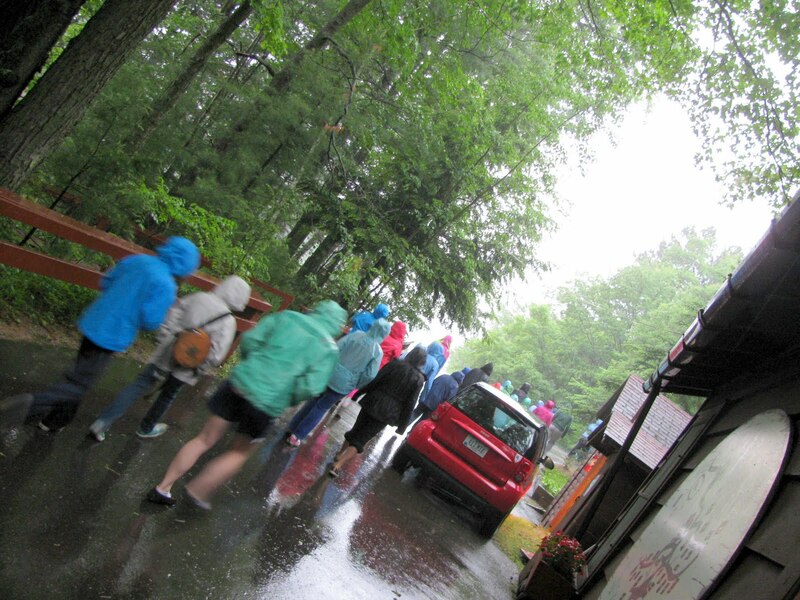 Breakfast was delayed by 15 minutes until the weather broke enough for campers to walk to the Lodge safely. 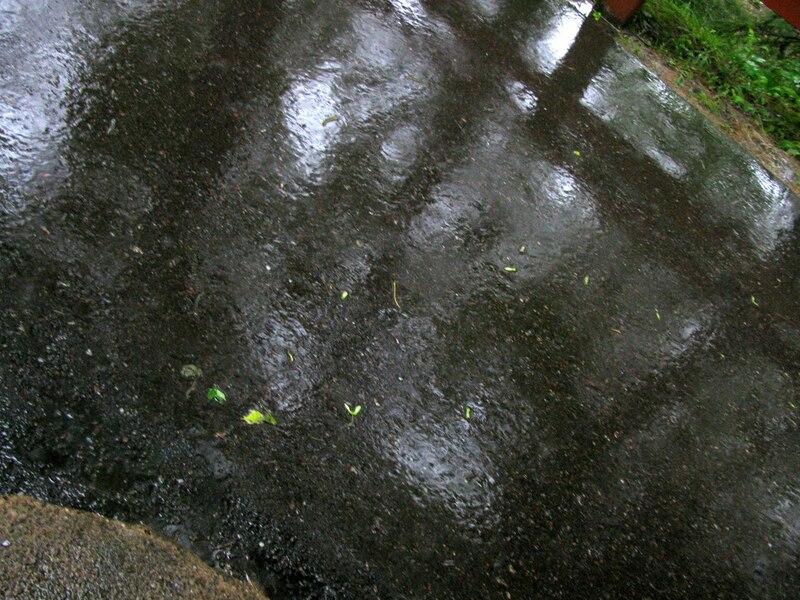 But it was still raining hard. As our Director says, tho, 'this is camp. They're gonna to get wet.' Everyone was in good spirits despite the rain. We did a fun Storm Game while we ate...everyone made noises that replicated the storm outside. First we rubbed hands together, then we snapped our fingers. That was followed by everyone tapping the table, then stomping their feet. The Head Table began flicking the lights on and off, and soon we had a full-blown storm both inside and out. Try it at home...it does sound like a storm. And what a fun way to keep little campers from being afraid of the loud sounds outside! Sounds like you're busy but creating great memories!